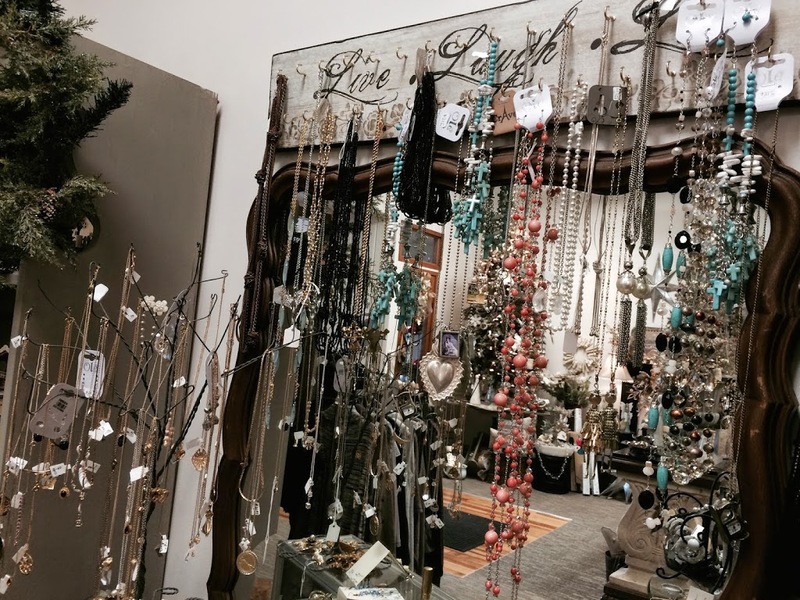 Here we are on the 4th day of the 12 Days of Shopping Local series, and it just so happens there’s a Christmas Open House happening this weekend at Angel Wings & Country Things (a.k.a. Angel Wings & CT). 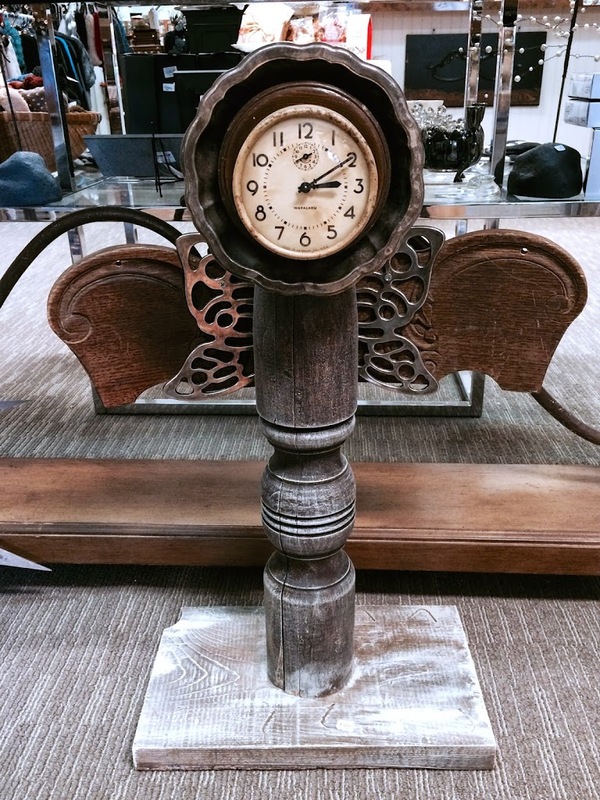 It started yesterday and continues today until 6:00, and Sunday from 12:00 to 5:00. Owner Nicole Kems has a reputation for putting on quite a spread for her fall, spring, and Christmas open houses, and many loyal customers have been anxiously awaiting this one. Let’s take a look inside! 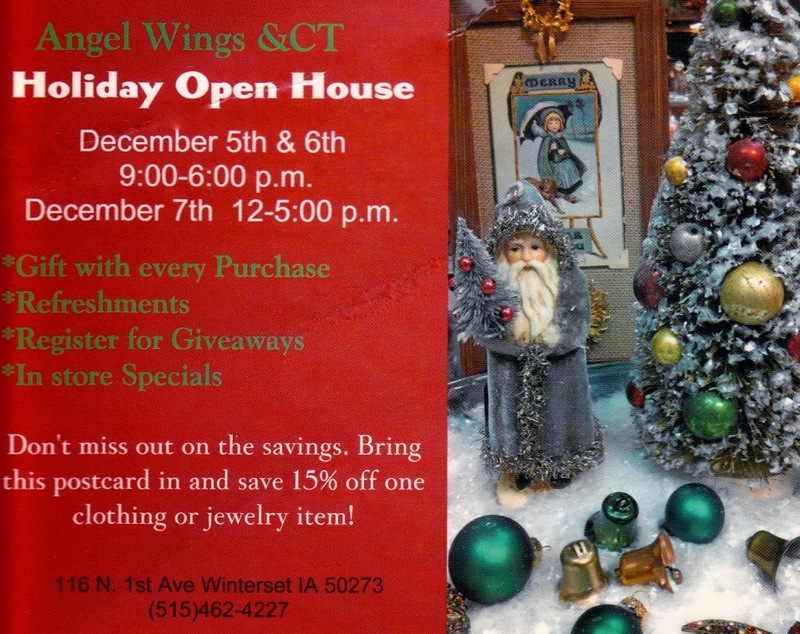 Angel Wings & CT is on the west side of the square, at 116 N. 1st Ave.
Angel Wings & CT moved to its current location on the west side of the square just over a year ago, in September of 2013. 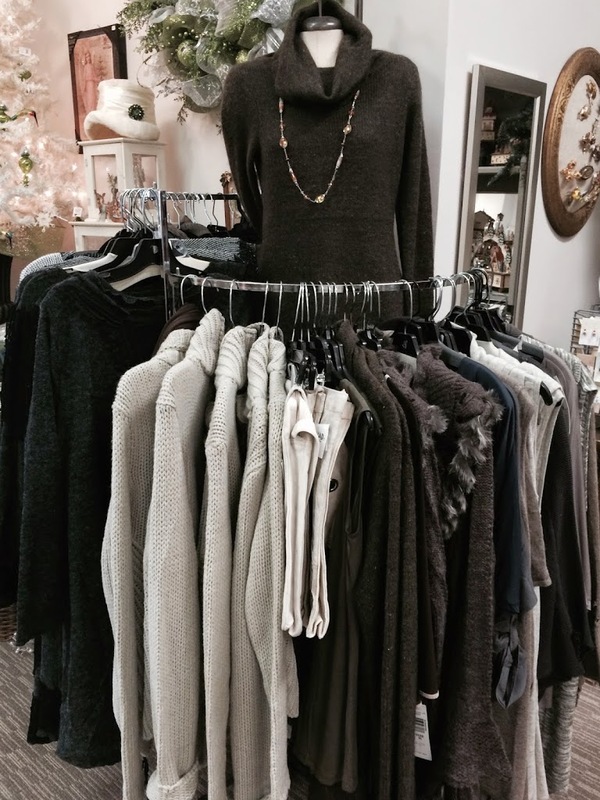 One great benefit of the move was the increase in space, which enabled the store to expand into more women’s clothing, a much appreciated addition in Winterset. 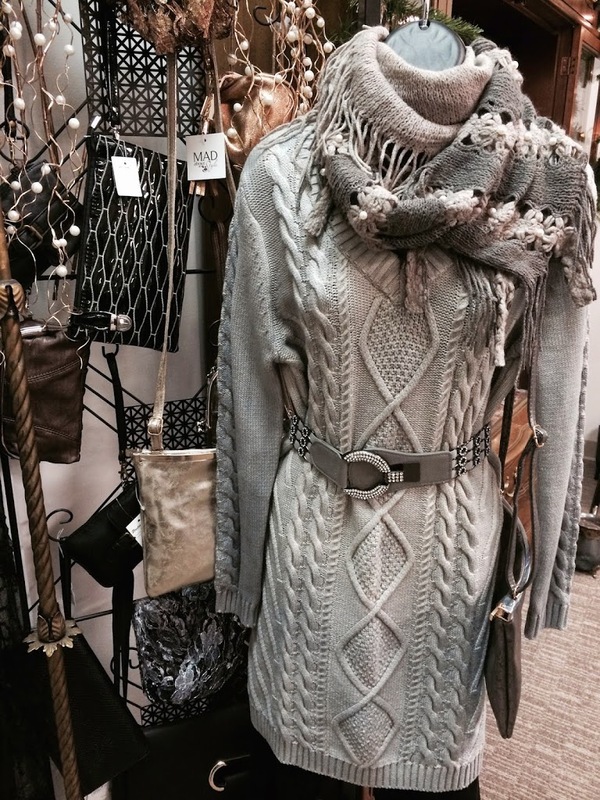 Nicole works hard to find unique, boutique-quality items at prices that are affordable. “I have to do a lot of sifting,” she said. 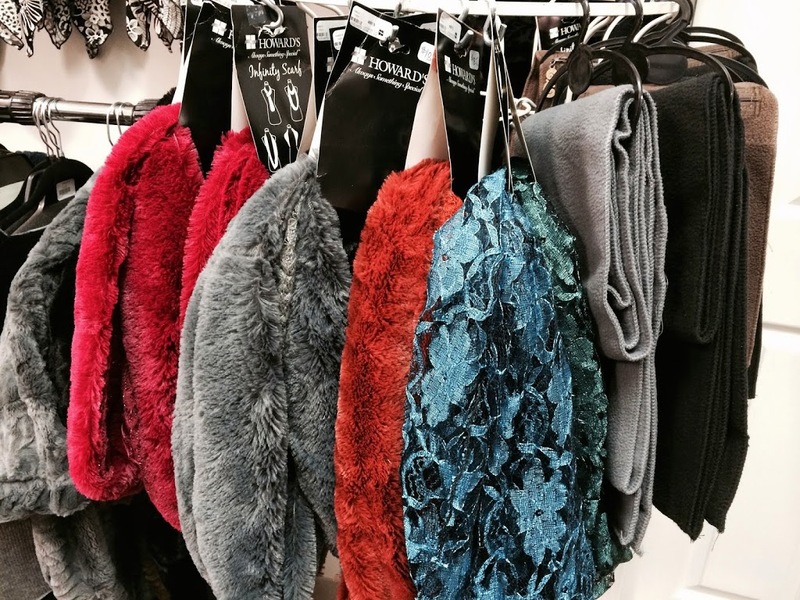 “I want them to be touchable, wearable, and affordable. We’re all on a budget!” She started with a small amount of clothing and then kept adding more and more, as people sometimes bought it faster than she could get it unboxed. 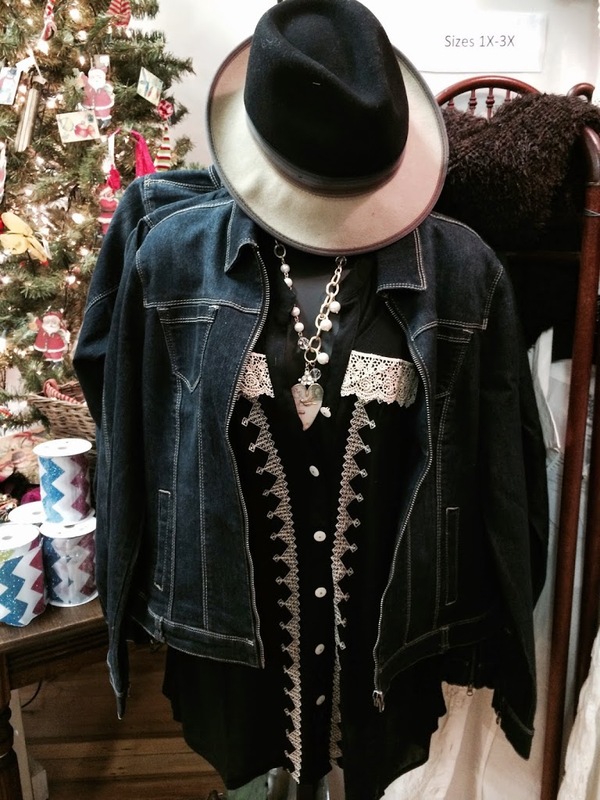 Nicole knows some professionals from Des Moines who drive to Winterset to buy their clothing at Angel Wings, and they don’t tell anyone where they go, because they want it to be their secret! 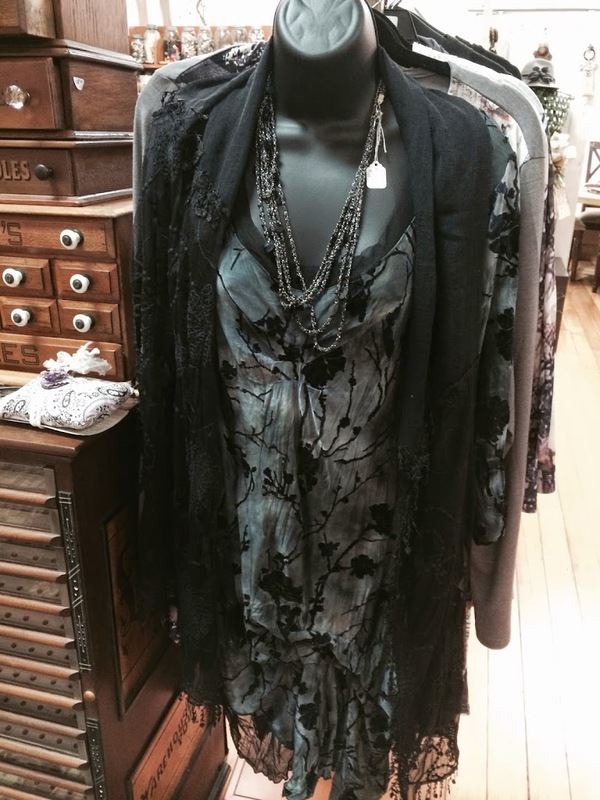 A lot of busy ladies find that they need something for a wedding or funeral in a hurry, and Angel Wings is pleased to be able to meet this clothing need in Winterset. They have plans to continue to grow it. Right now, they are featuring a lot of festive items for holiday parties! 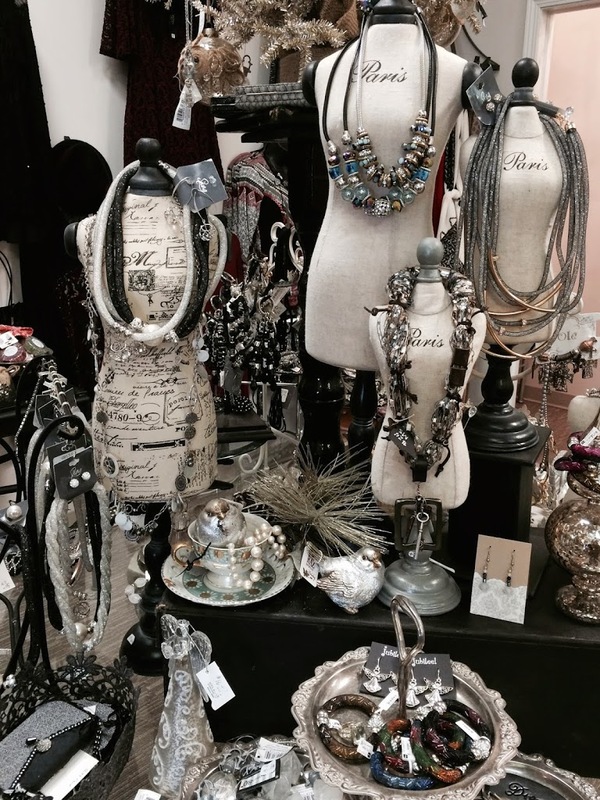 And of course, to complement your outfit, there’s a stunning array of jewelry and accessories. … or keep you toasty warm. There are hats and gloves, too. They all make great stocking stuffers! 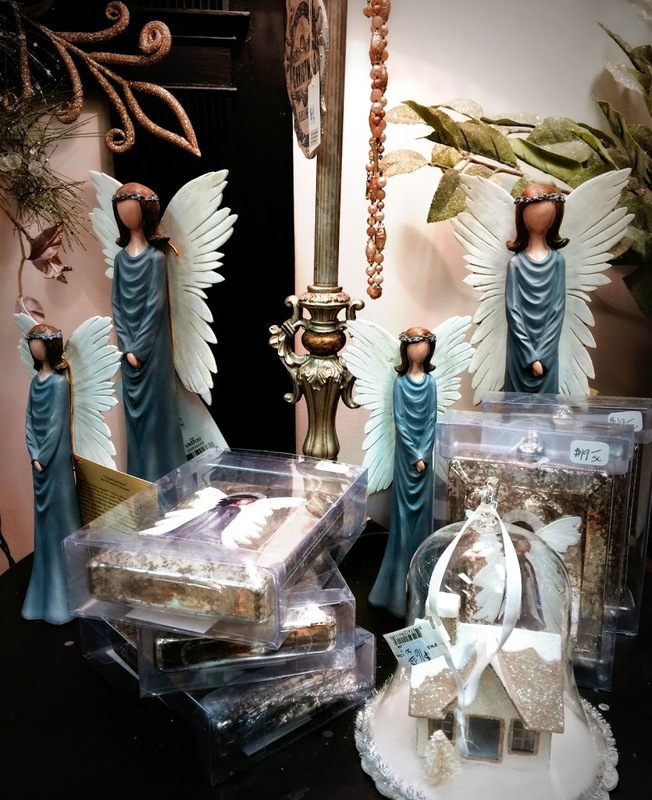 Of course, Angel Wings & CT has always been known for its junk angels, repurposed creations, and other distinctive decor. This still abounds in the store. 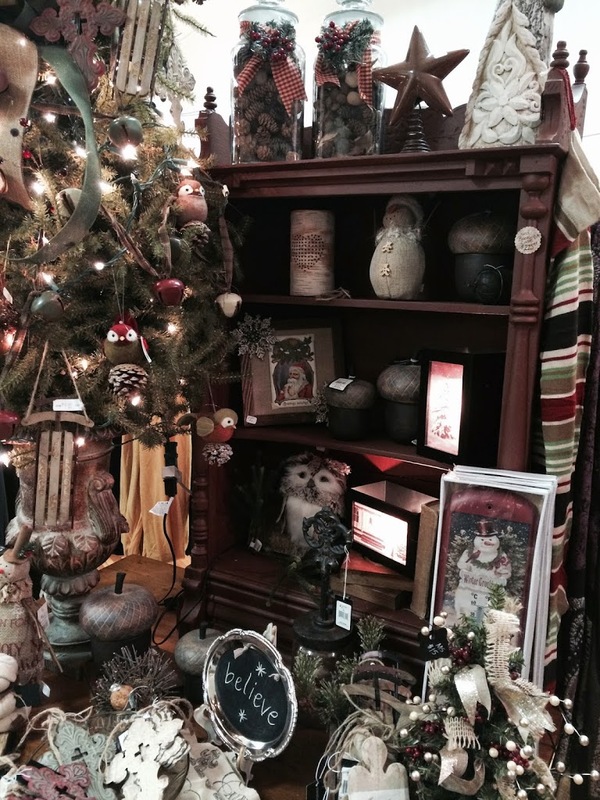 The thoughtful selection of Christmas decorations is no exception, and there’s so much to see! 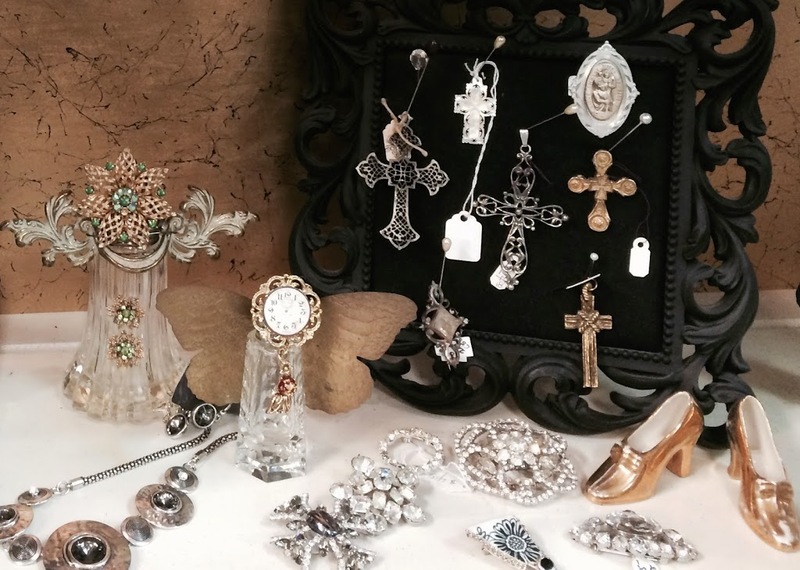 If you’re interested in antiques and collectibles, Angel Wings & CT is a source for those too, including a couple of spool cabinets currently on hand. 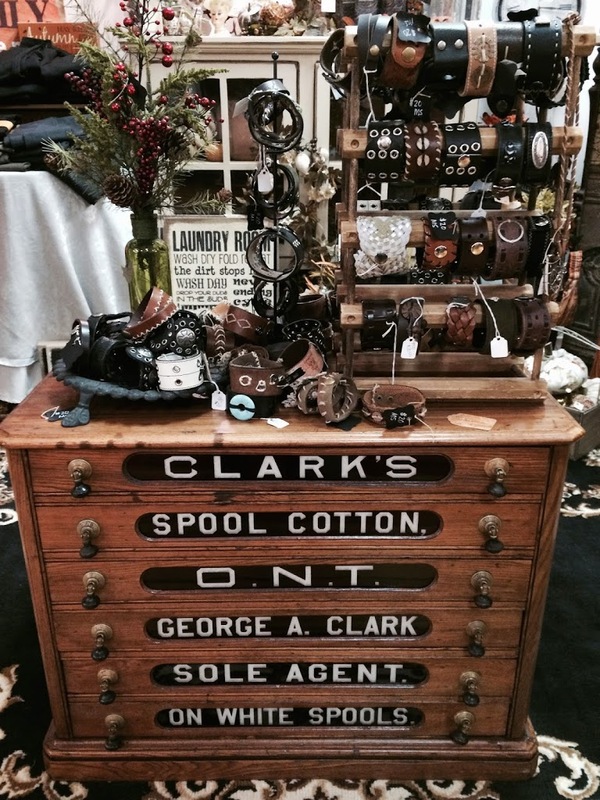 The belt bracelets on top of this cabinet are made by Michelle Sellers. 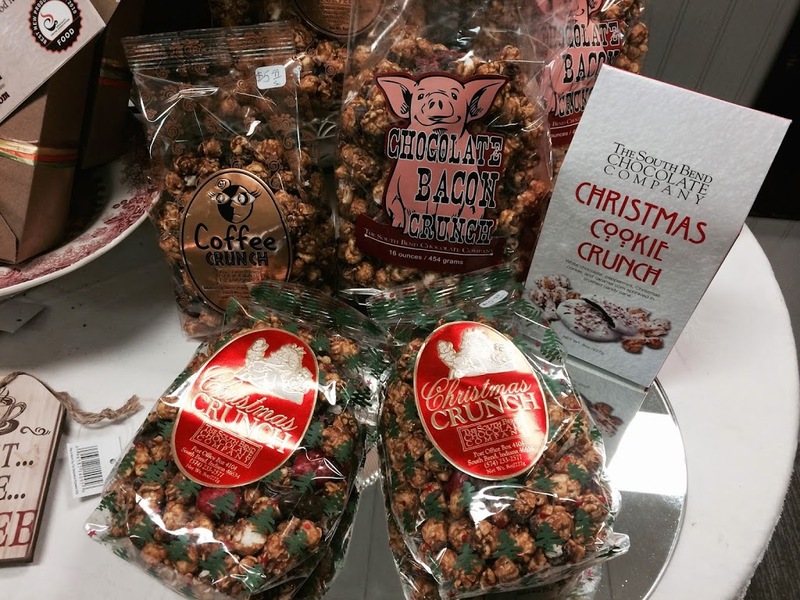 To top it off, there are delicious candies and snacks available, such as the popular Coffee Crunch, Coffee Bark, Christmas Cookie Crunch, and more. These make great stocking stuffers, and are also an easy contribution to a holiday gathering. Click here for a printable version of this card. Their holiday hours have now begun as well, which gives you the opportunity to visit them on evenings and Sundays. People have been suggesting that they stay open late during the holiday season for years, and now they’re giving it a try. Let’s show Nicole it’s worth it! Merry Christmas from Angel Wings & CT!